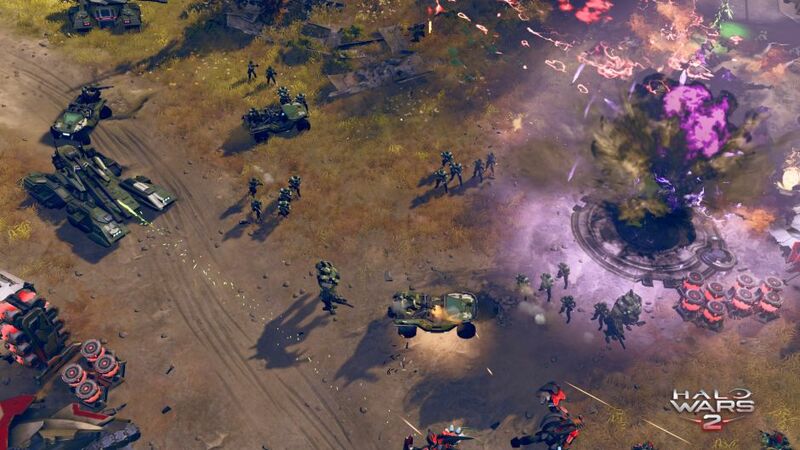 One of the most buzzed about video games of 2017 has been Halo Wars 2 with The Guardian calling it an “Exciting revival of the real-time strategy game” and PC Advisor going on to say “It does a good job of bringing an RTS to a console, and should please fans of the franchise.” Almost a decade after the first Halo Wars was released, Microsoft set out to put a new spin on the franchise through a flurry of multiplayer modes, including one called Blitz. Not only did they successfully breathe new life into the game, but they also experimented with a new sound for the game, calling on composers Brian Lee White and Brian Trifon of Finishing Move, and Gordy Haab. Haab, fresh off scoring Star Wars: Battlefront and Trifon and Whites’ recent work, including Massive Chalice and The Master Chief Collection, dove right in to the Halo Wars 2 world beginning in the spring of 2015. The team set out to make something innovative, leaving their own mark on the series with an interesting, unique sound, and they did just that. We decided to speak with the team about the game’s soundtrack. When it comes to the score for Halo Wars 2, was it your task to build off of the style from previous game or come up with your own original compositions? BT: Our task was to come up with a completely original score that is unique and stands on its own, but also fits within the Halo universe of music. Fortunately, Halo has historically had diverse music ranging from purely orchestral and choir pieces, to entirely electronic textural compositions and even shredding rock guitar! 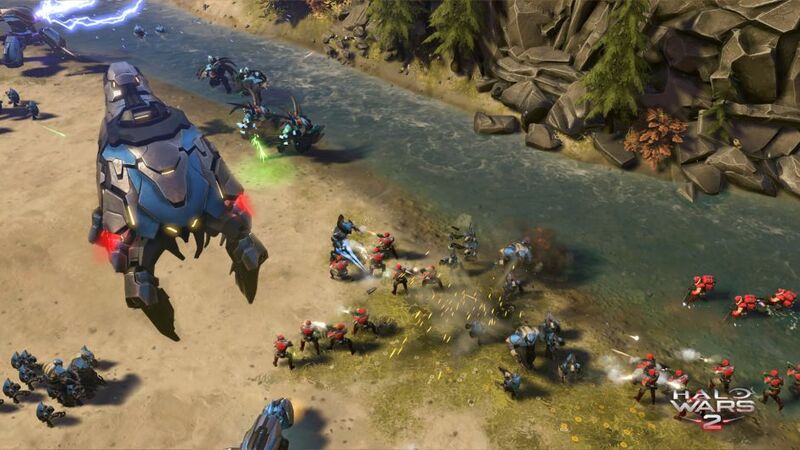 What kind of music can we expect to hear in Halo Wars 2? BT: The music in Halo Wars 2 is sophisticated orchestral music blended with distinctive textural and ambient music. In many ways it is traditional combined with futuristic. GH: Also we approached this score very cinematically. So all of Halo Wars 2’s characters have specific themes and music that accompanies their individual, emotional story arcs. If we’ve accomplished our mission, which I believe we have, you can expect to hear a highly dramatic and emotional story told through music. Gordy, did you learn anything from Star Wars: Battlefront that you used in Halo Wars 2? GH: Definitely! Probably the largest lesson learned was how to be creative while simultaneously dealing with the pressure that comes from both the studios themselves, who expect the quality bar to be very high—particularly when dealing with well-known franchises—and the pressure that comes from an existing fan base who also have very high expectations. Both Star Wars and Halo offer this same challenge. Thankfully I’ve become accustomed to managing this pressure. Another lesson learned from Star Wars Battlefront, as well as other Star Wars titles I’ve composed for, is how to be myself and present a unique voice while still paying tribute to the source material. If there were a Halo Wars 3, would you all like to work on that chapter? How do you think the sound would change? BT: Of course! 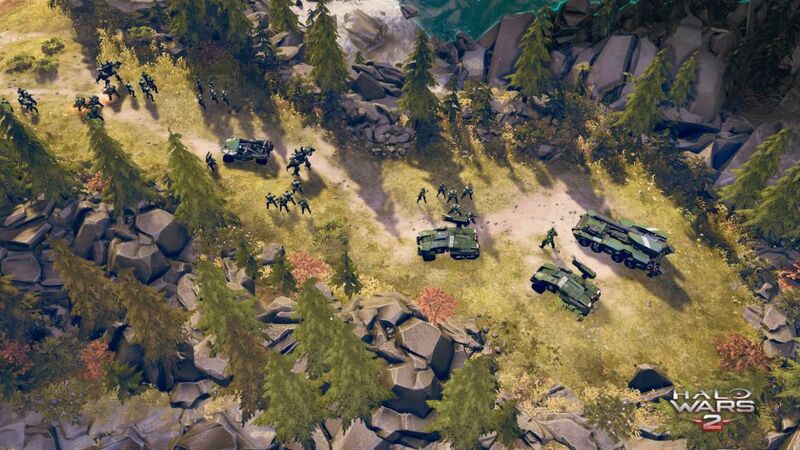 We’d love to do more Halo Wars. The sound would change depending on how the story changes and dramatically what unfolds. GH: Yes, absolutely. This project was a blast for us all. And now having put our musical stamp on the Halo world, I think we all hope we can continue to expand on the contributions we’ve made. Brian & Brian, under your company Finishing Move, you all have been credited as working on a few other Halo projects. Did that previous experience help prepare you for the task of creating the game’s full soundtrack? BLW: Our previous work on the franchise really gave us an excellent background of what “Halo Music” is all about, as well as a deep understanding of the fans and their expectations. With Halo Wars 2, we wanted to stretch our legs out a bit and find our own voice within the iconic franchise, while still remaining true to the fans and the heritage of great Halo music. I think we struck a great balance in that regard and our previous work in the franchise certainly helped in achieving that. The video game industry and, more so, the video game music industry has changed greatly in the past 15 years. Where do you see it going in the next 15? BLW: I think VR is opening up a whole new world of possibilities for game developers and composers alike, but it also presents a great deal of new challenges for game audio, especially where music is concerned. I don’t think I’ve experienced anything I would call the “definitive” or “best” use of music in VR experience yet; it’s still the very early days and I’m excited to see where that will go. GH: Where the industry is headed is only limited by the imaginations of those in this business. And there are some very imaginative folks working in games! So, the sky’s the limit. Brian, Brian and I actually just had the unique opportunity to compose music for a robot created by Anki called “Cozmo”. Because Cozmo can learn and adapt its personality and mood, an opportunity presented itself to “score” Cozmo’s ever changing emotions. If you had asked me 15 years ago where I thought music for media was headed, I’d never have imagined I’d score a robot. So, who knows what’s next!  When you were trying to find the game’s tone, were there story boards for you all to look at? BLW: We were fortunate enough to have some decent gameplay footage by the time we started scoring, so as far as in-game music is concerned, we could react to that material directly. For the cinematic cutscenes, we often had to work to rough animatics, since the final versions weren’t completely finished and fully rendered until very late in the composing schedule. But we did know the storyline and characters, plus the VO was at least synced to the rough cuts we were working to, so that gave us more than enough to craft the score around the characters and their emotions. Did the game’s sound design affect how you scored the game? BLW: Sound design and how it blends with the music is always a concern in both games as well as in traditional film score. This is especially true in a RTS battle game with lots of munitions, military vehicles, and chaos happening all over the map. Ultimately, you strive to create a nice balance between all the elements: music, sound design, and VO. While the music helps drive the player’s emotions and supports the characters and story with themes, you don’t want to cover up valuable player feedback provided by sound design or VO. To that end specifically, to help the interactive score sit in the mix during gameplay, we use a system that Paul Lipson (the audio director on Halo Wars 2) developed when he was at Microsoft. It adapts to the submixes of the music in Wwise to help offset some of the masking and mud you’d get when intense sound design moments collide with music in the mix. For example, if there are a ton of explosions happening, we can procedurally pull back the complexity of the music elements by using different submixes to make space. There are even situations where the music can drop out entirely. If there is anything else you would like to mention about your score for the game please feel free. GH: Well, there is so much to this score I think we’re all excited and proud to present to the Halo world, so please feel free to hear for yourselves! The original soundtrack album is available as a physical CD in stores and on Amazon, or digitally at the iTunes store. We hope you enjoy it as much as we enjoyed writing it!